This 18-month project will improve accessibility to the south walkway of the bridge in New Jersey by replacing the existing stairway with a ramp. 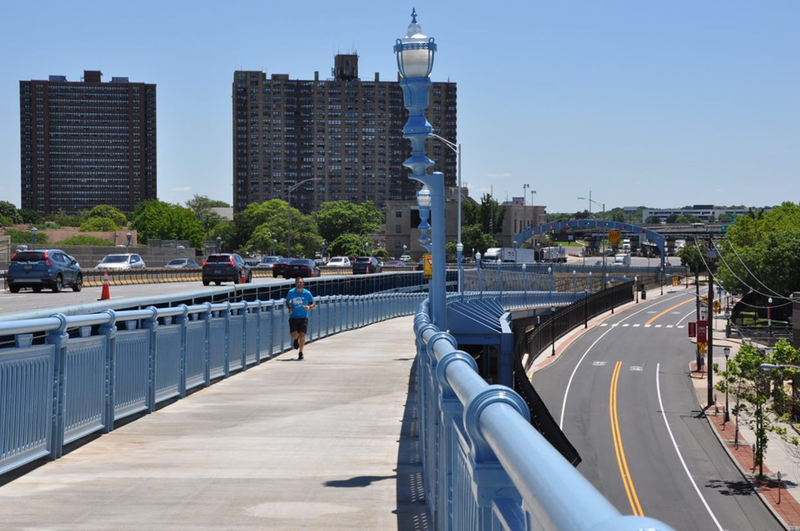 "The bridge's 1.5-mile walkway is a fantastic transportation and recreational opportunity with picturesque views of the Philadelphia and Camden waterfront," said John T. Hanson, DRPA CEO. "The new ramp will make walkway access significantly easier for bicyclists and those on foot or with strollers." Currently, the south side walkway in Camden is only accessible via a 25-foot-high stairway, making it challenging to individuals who are physically disabled or impaired. Bicyclists have no choice but to carry or push their bicycles up or down using steel plates on the edge of the stairway. The project is funded in part by a $3.8 million grant from the Federal Highway Administration's Transportation Alternatives Program (TAP) and a $400 thousand grant from the William Penn Foundation.